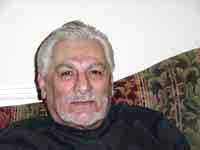 I have personally developed this simple website as I wanted to publish some of the writings of my late father on the world wide web. I started work on it in early 2003 but had to stop in October 2003 as I had to undergo heart bypass surgery. Work on the website was resumed by me in March 2004. Since I have yet to learn a lot more about website designing, please excuse me if this first attempt might not look very professional! There is more material to be added but it is very time-consuming - as such I thought it might be better to publish whatever is ready so far and then continue to update the website from time to time, as much as I can It would be appreciated if you would email your comments and suggestions, if any, to me. Thank you! Ahmed Ghulamali Chagla was born into a prominent family resident in Karachi for over a century. 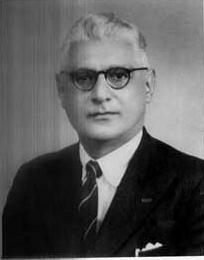 His father, the late Ghulamali Chagla, was one of the first elected Presidents (1921-22) of the Karachi Municipality. He obtained his preliminary education at the Sindh Madrassat-ul-Islam in Karachi. In the short span of fifty-one years of his life, he had many achievements. Although by profession he was a businessman, he was also an author, a journalist, and a writer on a variety of subjects. He wrote most of his articles prior to the partition of India in 1947 and a few of them after partition. Hence if you will see references to India, or such connotations, in some of the articles, this is because at the time of writing Pakistan had not yet come into existence! His writings include a series of articles on Urdu poetry covering classical poets such as Mir Anees and Mirza Dabeer, Zauq, Mirza Ghalib, Dagh Dehlavi, Amir Meenai, Akbar Allahabadi, and Allama Iqbal. Another of his articles is entitled "Kerbela - The Story of a Great Soul's Ordeal". There is also an article on Shah Abdul Lateef, the great poet of Sindh, which had appeared in the Illustrated Weekly of India in December 1937! He has also written several other articles on different subjects like "Some Aspects of Iqbal's Thought", "Cultural Expression in Fine Arts and in Music", "Pakistan - The Crucible of Cultures", "Music of Pakistan", and "Muslim Contribution to Indo-Pakistan Music" and has written some short stories and plays in the earlier part of his life. He is also the composer of the music for the National Anthem of Pakistan and one of the first persons to put our music in staff notation. For more particulars on this subject kindly refer to the National Anthem part of this website. 1923: A circular trip in the Middle East. Karachi to North Iran via Baluchistan; thence to the borders of the Caspian and Teheran to Tabriz; back to Teheran and via Kermanshah to Baghdad; A tour of Iraq and back to Karachi via Basra. Much valuable evidence was collected on this trip. 1929: After the 1923 trip to the Middle East it was considered necessary to find out how far westwards the oriental musical influence extended. To do this, a trip was undertaken from Europe to Karachi by the overland route. The countries visited were: From Germany to Czechoslovakia, Hungary, Balkan States, Turkey, Syria, Palestine and Iraq. During this trip much practical experience was acquired, in opera houses and symphony orchestras, and problems in theory and orchestration were discussed with several European masters. At first it was thought that time will be available to do the L.R.C.M. course in composing and conducting and for this purpose he joined the Royal College of Music. But circumstances demanded return to Karachi before the terms could be completed. This however proved a blessing in disguise as so many master musicians of Europe were contacted on the return trip, from whom much was learnt. 1935: Another trip to Europe was taken, when the subjects were further studied, especially the difficult art of teaching music. 1938: Yet another trip to Europe gave further experience. This trip was as far north as Warsaw.